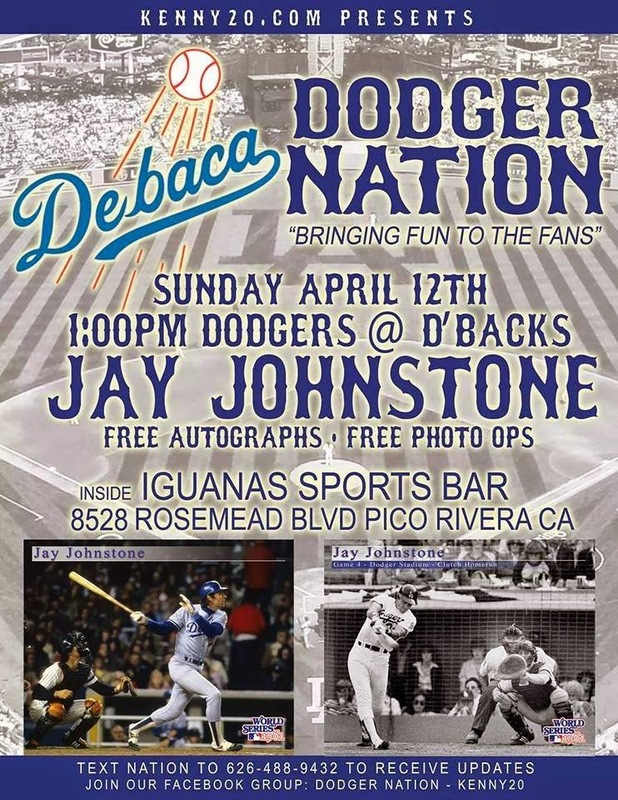 Jay Johnstone will be signing autographs this Sunday at Iguana's Sports Bar. You can watch the Dodgers/Diamondbacks game. They have Time Warner Cable. Jay Johnstone is the man! It's so good to know that the admission is free. Since, he is going to be there, my buddies and I might have to camp outside the sports bar. Hopefully, no one has an issue with that.